I’ve been meaning to grab a burger from Boss Bugers for ages, ever since it opened really. However it never quite happened, mostly because I like my burger after a few beers and they don’t deliver on orders under £30. I like burgers but probably couldn’t eat 3 to myself (I lie, I definitely could but I’m trying to set the scene). So usually Mr Nice Guy’s ends up our takeaway of choice, plus P loves all the customizing options. Anywho last week we’d both had a long day and figured a burger was the perfect remedy sans booze (I’m still sticking to my no drinking on a school night rule…generally). We trotted over to Hyde Park, Boss Burgers is on Brudenell Grove (which leaves me all kinds of nostalgic as I spent many years in Hyde Park), the same road as Hukaz & International Supermarket for those that know the area. It’s not anything particularly special to look at, a small shop with an open kitchen at the back and a few tables and chairs at the front so you can eat in instead of taking away. The menu is pretty small, 6 or 7 burgers (inc a special) and fries. I went for the Goats Cheese & Chill One (£6.50) with Boss Fries (£1.50). The boy went for Smokeback Mountain (£6.50) along with Boss Fries. They were cooked to order and were ready pretty sharpish which was a nice change from Mr Nice Guy’s (yawn waiting for hours). I’d heard a lot of great things about Boss and I can honestly say I was not disappointed. The fries were some of the best I’ve had in Leeds; crispy and salty, leaving you wanting more. The burger was perfection. 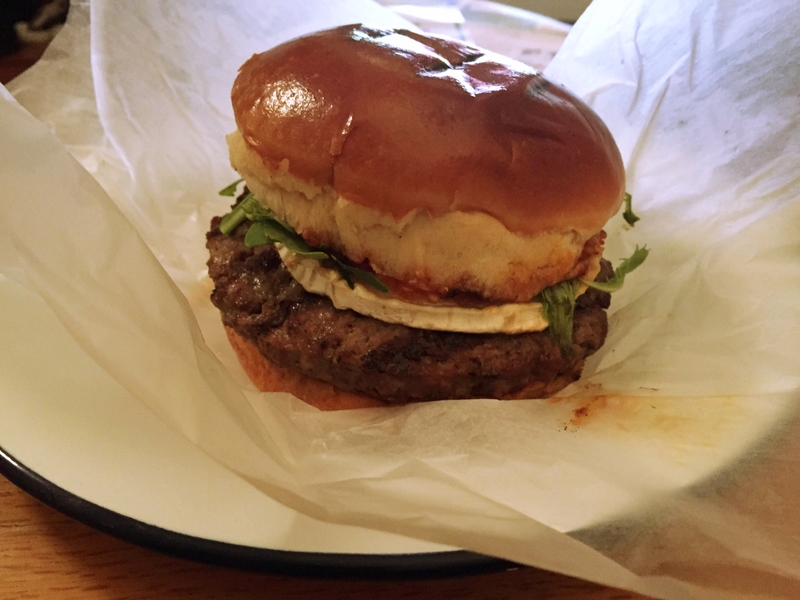 A meaty, juicy patty (obviously good quality) with a generous slice of goats cheese and chili jam that actually had a kick. All sandwiched between a slightly toasted bun. I thought my choice was way better than P’s which included bacon, cheese and BBQ sauce but then I’m not a huge bacon fan (I knoooow, I haven’t seen Forrest Gump either *gasp*).